No housing tracts or convenience stores here! Right on cue, a rainbow appeared over the grassy ridge that looms above Johnson Avenue, at the eastern edge of San Luis Obispo. 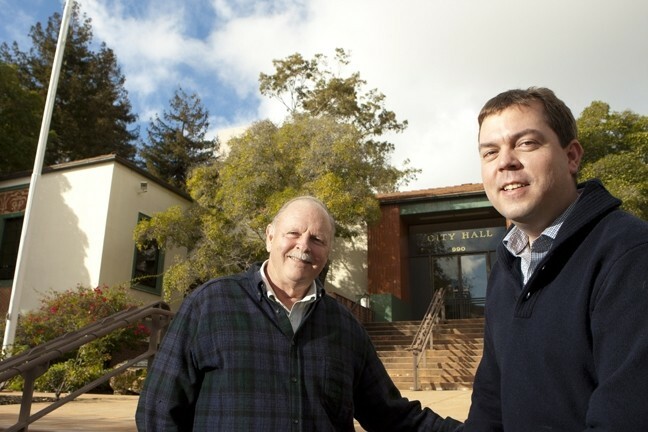 COMMITTED TO CONSERVATION : Neil Havlik (left), SLO’s manager of natural resources, is passing the torch—errr, the hiking stick—to Bob Hill, after 16 years working to protect local open spaces. “There, at the pot of gold—that’s the Goldtree Tract, the latest addition to the city’s open space,” Bob Hill, SLO’s new natural resources manager, pointed out during a recent walk around nearby Terrace Hill. His predecessor, Neil Havlik, completed the city’s purchase of the bargain-priced land last summer, on his last day on the job. To both Havlik and Hill, the fact that this hillside property will remain public open space forever is more valuable than any pot of gold. San Luis Obispo’s open-space program has been remarkably successful, as more and more special places are added to the list of permanently protected—and publicly accessible—lands. A future trail on the Goldtree site could eventually lead through the wildflowers and native grasses, all the way up the hill and over the ridge to more city-owned conservation land in Reservoir Canyon. It’s one more jewel in the emerald necklace that rings SLO—the various undeveloped hills, ridges, and fields that provide the city’s characteristic scenic backdrop. These are lands that will never see housing developments or mini-marts, and it’s taken a lot of work to keep them that way. SLO’s officially designated 54,000-acre greenbelt extends far beyond the city limits, stretching three to five miles wide to include important watersheds and scenic vistas. Thanks to willing landowners—and Havlik’s concerted efforts over the last 16 years—7,000 acres in the greenbelt are now permanently off limits from development. 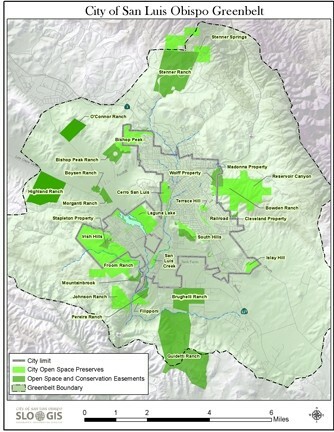 Half of that protected land is city-owned public open space, with trails people can use. The other half remains in private ownership, with deeded conservation easements to ensure the land forever stays the way it is today. 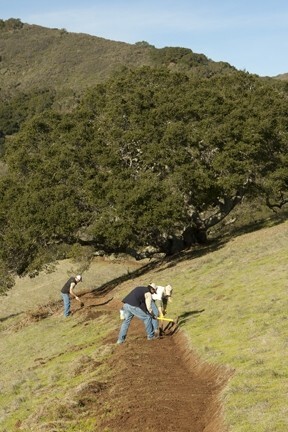 Local residents and visitors alike have embraced the idea of an extensive greenbelt, where they can enjoy the network of public pathways at places like the Johnson Ranch south of town—where volunteers are busy building a new trail to connect with the Irish Hills open space—and the iconic morros, Bishop Peak and Cerro San Luis. “Preserving open space is one of the best investments you can make in your community—and the return is it’s there forever. You get a great public benefit that never goes away,” an enthusiastic Havlik said during a recent tour around the greenbelt. A glossy brochure produced during his final days on the job—and now available for free at the City Hall—features a foldout aerial view of all of the city’s open spaces and trails. It even includes GPS coordinates for trailheads, and downloadable topographic trail maps, for almost a dozen different public open-space areas around town. 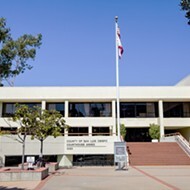 City leaders have been committed to the greenbelt program ever since the early ’90s, when members of the Environmental Quality Task Force insisted that the city council create a natural resources manager position to counterbalance the newly established position of economic development manager. Havlik, a Cal Poly botany graduate, began the new job in 1996, fresh from a stint with a land trust in Solano County. The same skills he used there—patient negotiations with conservation-minded landowners, knowing where to look for funding, an eye for the best deals—have come in handy in San Luis Obispo. He’s been able to turn quite a few large parcels of land—one by one—into open space preserves. ON THE PATH : Local park rangers are building a new public trail to connect the popular Johnson Ranch to city-owned open space in the Irish Hills. Some of the city’s open spaces were donated as a condition for development, like the 1,000-acre Irish Hills nature preserve above Los Osos Valley Road. 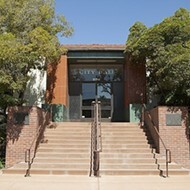 Some have been purchased outright, with the landowners substantially reducing the price tag for the city, as a charitable contribution to support conservation. On other parcels, landowners have agreed to deed restrictions that require the land to remain rural. 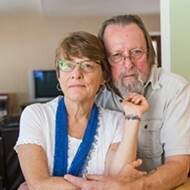 Havlik paid tribute to longtime local families, who have voluntarily gifted a total of about three-quarters of a million dollars to see their land permanently protected: the Madonnas, the Filipponis, the Twisselmans, the Brughellis, the Guidettis, the Mainos, and the Bunnells, among others. An additional $250,000 a year has come from city coffers over the 16 years Havlik has been adding to protected properties in the greenbelt. Thanks to various gifts, grants, and deals, the city now owns public open spaces with a value of about $14 million, he said. Just providing the services to support development of that land would have cost the city far more, Havlik noted. “You can preserve open space and habitat at a fraction of the cost of creating infrastructure for development,” he said. Volunteer labor also helps keep costs down. Members of the Central Coast Concerned Mountain Bikers have donated hundreds of hours of trail-building time. They’re currently working to create a new mile-long trail at the top of Johnson Ranch, which will connect to the extensive trail system at the Irish Hills when it’s completed in the next few months. The Filipponi family agreed to allow the new connector trail to cross their land, an action Hill called “very forward-thinking.” Another plus, he said: a well-constructed trail is virtually maintenance-free. The original Johnson Ranch trail, an easy loop through grassy fields and tree-studded canyons that takes about an hour to walk, has been “embraced by the community,” Havlik said. “Johnson Ranch is so nice because anybody can use it. You’ll find a lot of older folks on the trail, young kids, families. It’s really fun to see,” he said. “Johnson Ranch has really expanded people’s opportunity to get out and enjoy open space. It’s natural, wild country. People enjoy the trail twisting through the trees and into the ravine,” Havlik added. For Hill, the new natural resources manager, a favorite city open space is Terrace Hill, with its panoramic views over the greenbelt in every direction. From there, you can see all the ridges encircling San Luis Obispo, the agricultural fields near the airport and up the Los Osos Valley, and the chain of volcanic peaks known as the Seven Sisters. PROTECT AND PRESERVE : More than 7,000 acres in and around SLO have been set aside for permanent conservation. Just a few weeks into his new job, Hill is already very familiar with SLO’s open-space program. As a former staffer with the Land Conservancy of SLO County, he helped Havlik find funding and work out deals to acquire conservation lands. He even wrote an extensive report detailing how and why the greenbelt designation should be expanded, back when he was a grad student at Cal Poly nearly a decade ago. Now, he told New Times, the city general plan’s Conservation and Open Space Element is his bible. It features pullout maps showing rare and endangered species habitat, watersheds and view corridors, and wildlife corridors where mountain lions and bobcats and bears move through town. Conservation plans are already in place for most of the city’s open spaces, with recommendations for new or better trails and priorities for stewardship of the natural resources. “It’s a big list. 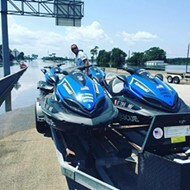 There’s plenty to do,” Hill said, including providing “a greater diversity of trail opportunities” for shorter walks, and for people using wheelchairs or pushing strollers. Hill is also continuing to work with more landowners who might be willing to see part or all of their property come into the program, in exchange for monetary compensation or the right to build some houses on another part. The goal is to make sure the deed to the property carries what’s known as an easement, guaranteeing the land will forever remain dedicated to conservation, open space, or agriculture. Pointing south from Terrace Hill, he indicates the South Hills, where much of the land is already a city-owned open space preserve with public trails. As the Margarita area is developed, more of the South Hills will be dedicated to open space, Hill said. Same with future development of the Orcutt area just outside the city, which will include permanent protection and trails for one of the smaller morros known as Righetti Hill. 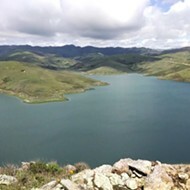 Like Havlik, Hill believes conservation is “an outstanding investment,” citing the health benefits for people who are using the open spaces, and the fact that tourists come to SLO to enjoy our unique scenery. Then there are the ecosystem benefits, with enhanced air and water quality as well. “Some values aren’t monetary. There’s the intrinsic or spiritual value of being in the outdoors. There’s peace, relaxation, mental and physical fitness, and a feeling of connection to the natural world,” Hill said. As state grant funding for conservation dries up, Hill has identified a new source of money: the military. Each year Congress allocates funding for the Army Compatible Use Buffer program, designed to protect military bases from complaints from neighbors by making sure there are no neighbors. So far, the military has spent $2.75 million on permanent conservation within SLO’s greenbelt, guaranteeing those areas will never be developed, Hill said. The funding can be used within three miles of Camp San Luis. Both Hill and his predecessor Havlik have ideas about which additional parcels within the greenbelt could be permanently set aside for open-space uses, but they didn’t want to publicly discuss those possibilities because of ongoing confidential negotiations with landowners. Havlik did divulge his interest in seeing agriculture and ranching uses be a permanent feature along parts of Buckley Road, Los Osos Valley Road, Foothill, and Highway 1. He’d also like to see more parcels on the hillside above Johnson Avenue become public open spaces. In the Edna Valley southeast of town, vineyard owners could partner with the city to bring in reclaimed water as a reliable source for irrigating grape vines, Havlik suggested. That ambitious, outside-the-box project presents some hurdles, but would help make sure “we don’t see a rival city springing up out there,” with demands for services. It would also help guarantee that the area remains rural. 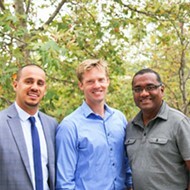 Both Havlik and Hill praised city leaders and local residents for their ongoing commitment to SLO’s open-space program. For his part, Hill hopes to see a big turnout in support of the program at the city council’s upcoming goal-setting workshop on Jan. 8 at the Ludwick Center. The many users of trails at Johnson Ranch have already “voted with their feet,” Havlik pointed out. The trailhead on Ontario Road south of town is often brimming with cars, as people eschew the indoor environment of the gym in favor of traipsing through a scenic natural area. New Year’s resolutions often include a commitment to improving fitness, and thanks to Havlik, Hill, and SLO’s open-space program, choices abound for people who want to get out and enjoy nature.